Fermentation Festivals. Tours. Viking pumpkin carving. How farms in the West are getting a little more fun. We love our farmers. Here, they kinda out-rock star real rock stars (we’re looking at you, Novella Carpenter). They bring us local produce that’s fresh and pesticide-free, they make our cities greener, and they celebrate things like bacteria. 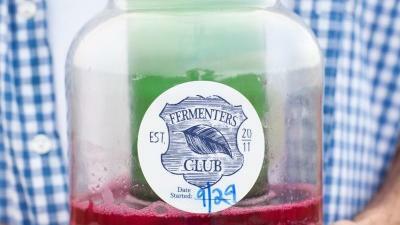 Case in point: The recent Fermentation Festival at Tara Firma Farms in Petaluma, CA. Yep, there were pickles. But also kefir, fresh sauerkraut, biodynamic wines, kombucha served on tap from a van, and we even got to see what blue cheese looks like under a microscope (it was enough to make me consider a life without blue cheese). There were workshops plus a keynote by fermentation fetishist Sandor Katz, author of The Art of Fermentation. Even more interesting is the story of the farm. Tara and her husband Craig bought it after being inspired from reading Michael Pollan’s The Omnivore’s Dilemma. The farm is open to anyone curious about modern agriculture. What’s the next event at Tara Firma Farms? A Vikings twist on Halloween: Pumpkins on Pikes. This isn’t just pumpkin picking, but carving then hoisting the “head” on a pike. At dusk, they’re lit up. Artisanal sausage will be served. Farms got it going on these days. Music provided by The Freys (who also make biodynamic wine). Cheesemaking, powered by the sun. Piglets. Yes, some of them will probably become bacon some day. Free farm tours are held each weekend.